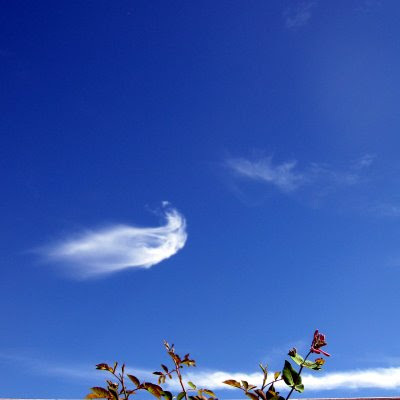 Wispy clouds, in the backyard. 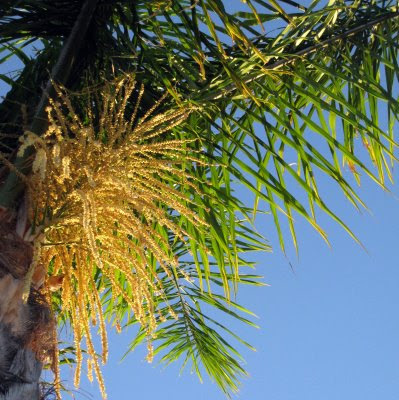 6 AM, the sun illuminating the flowers on the palm tree. A hawk, looking for lunch. All of these were taken in Murrieta on the same day. These are all gorgeous shots. The hawk looks very contented while looking for lunch. The blue in the first shot is fantastic and I love the whisp of a cloud. Look at that luscious blue sky! I'd never have guessed that you had palm trees in Murrieta. Now I KNOW you have gorgeous blue skies where you are, but each time I see them I get so jealous! The first one gets my full attention, great job, suberb colors, great contrast with the clouds and the blue blue sky!! That first shot is almost comical. A cute little cloud. I think you caught an Angel in that first one Jan - lovely! What a magnificant hawk - great catch! Brilliant photos, the second one is my favourite, great stuff Jan.
Love the first image a lot. Happy skywatching. Enjoy the weekend. Amazing how blue your skies are! Why do I always assume Southern California is covered in smog? lovely sky in murietta ... and the hawk is stunning. you sure captured a gorgeous hawk. The cloud in the first picture looks like it is dancing across the sky. Jan: Beautiful captures of some neat skies. Cool looking hawk! Nice shots. I like the sky and the palm tree the best. I like those colors together. Love that cloud Jan. It's perfect! Great shot of the hawk too. I love the great comma in the sky! 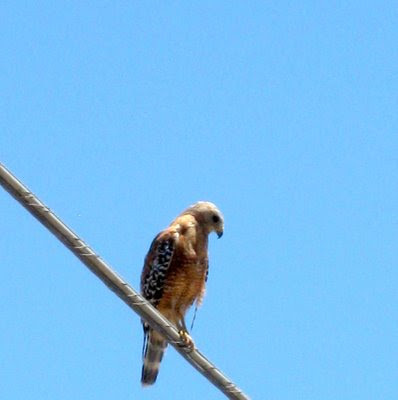 I like your wispy clouds, and your hawk photo against a nice blue sky, very nice.